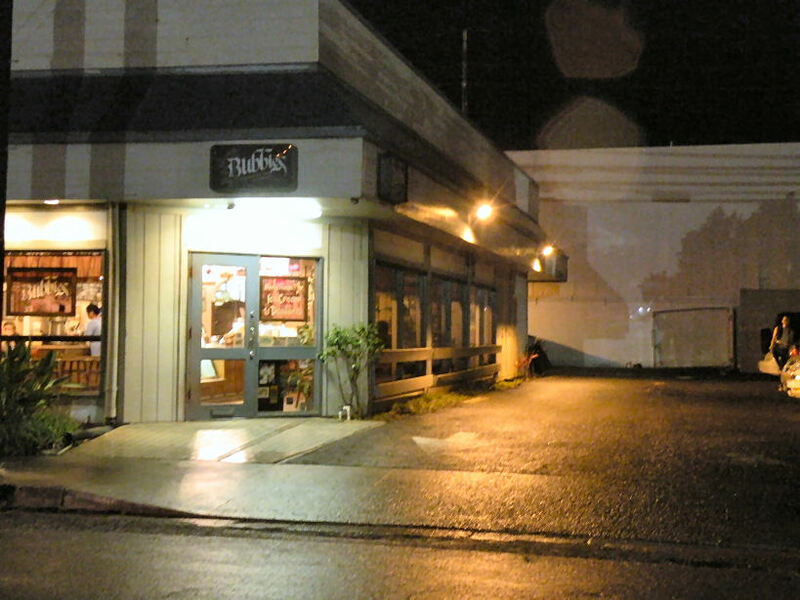 Oahu’s Triple D – Bubbies – Would you like an Aural Massage with your Mochi? Bubbies from the University district. This is purely review on Bubbies’ ice cream mochis. But if the rest of the menu is as delicious as their mochis, then go for the whole menu! 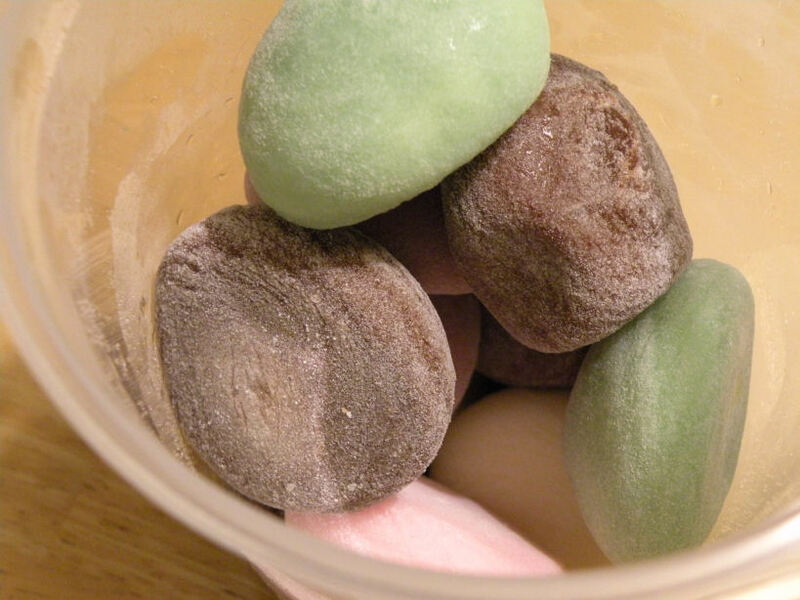 A mochi is a type of japanese pastry that has a light thin skin that is made from glutinous rice, or flour of sweet rice wrapped around a filling or moulded into a shape. 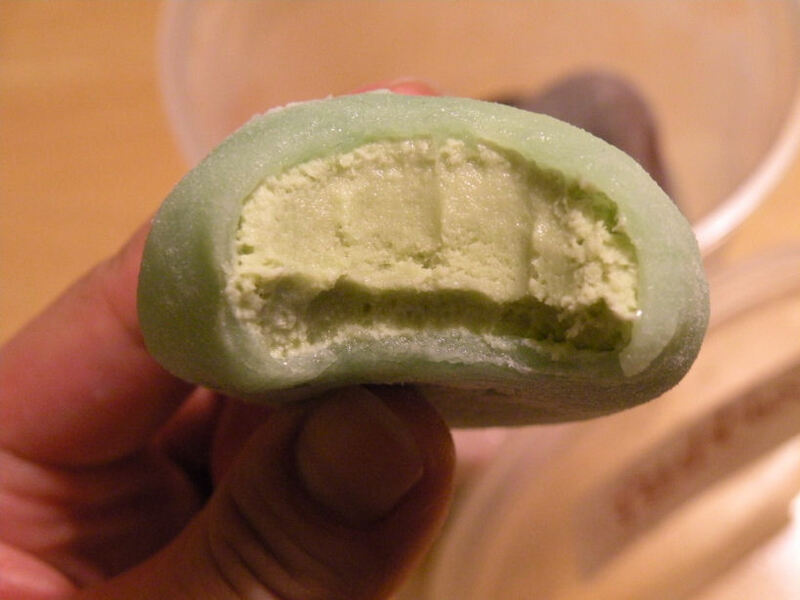 In this case, mochis are a common dessert where the skin is wrapped around ice cream. It is quite common in Asia and there are many different variations and types of mochis. On a busy night, lines form out the door and across the parking lot. It is not a fast moving line either. Better to come back another day. 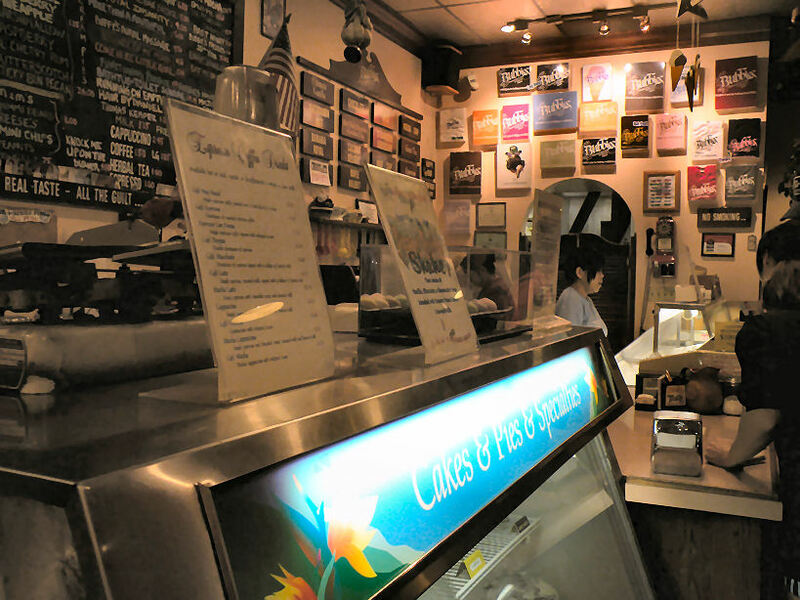 Bubbies is very much like Death by Chocolate, but busier and less of a sit-down joint. There are a few tables for patrons but a majority of orders are take-out. My view while waiting anxiously for my turn! 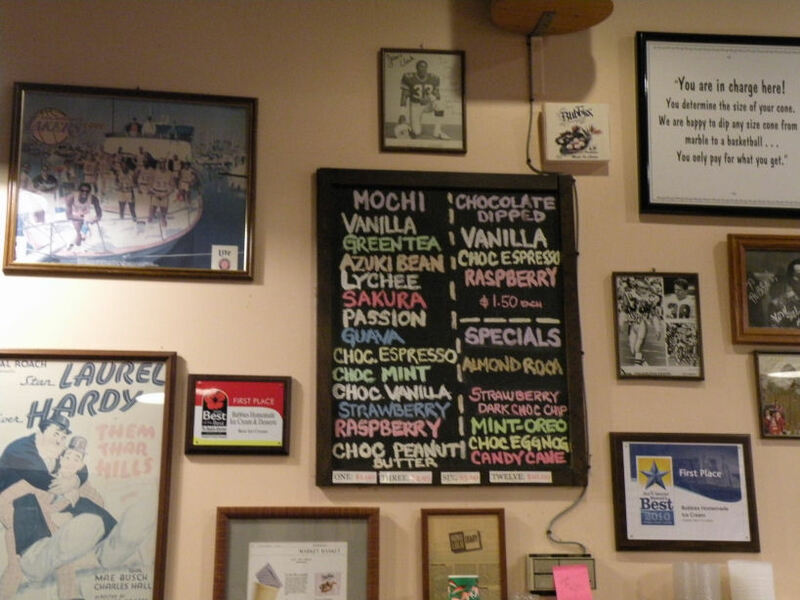 The first (and the only important) menu you see when you enter Bubbies. 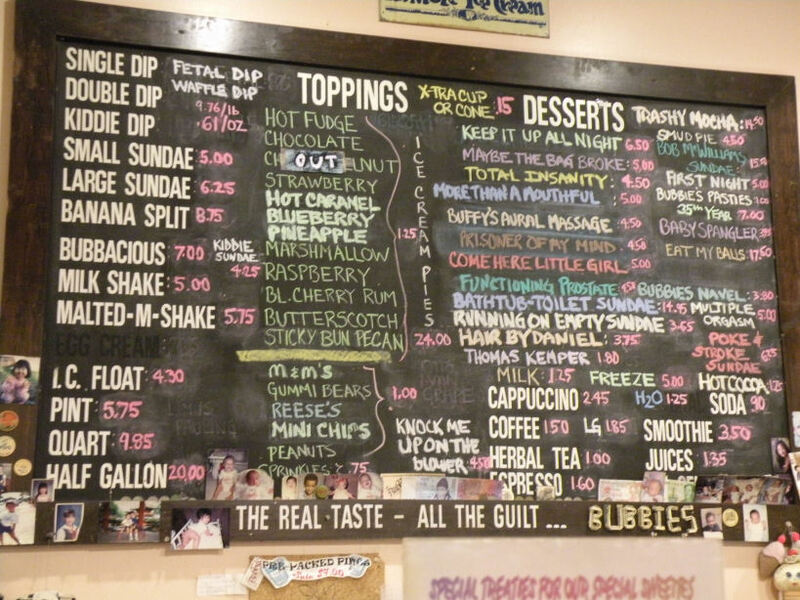 Their extensive menu of desserts. Funny names but unfortunately, it does not reveal what the dessert is. That is probably why the line up takes forever because customers are asking "What's this?" on every item. Who wants an Aural Massage or Eat My Balls? Hahaha... my friends and I dared each other to order the desserts. I didn't do it, it's just too expensive to eat my balls. Can't help it when we're in a college hang-out, we tend to act like we would 10 years ago. The teeth marks is not indication how big of a biteful this can be. I like my mochis frozen hard when I bite into it. Green tea ice cream with green tea flavoured skin FTW! Best to pick up a dozen or two that will last for the rest of your trip so you can enjoy it in the comfort of your hotel. Just make sure you have a freezer in your room! 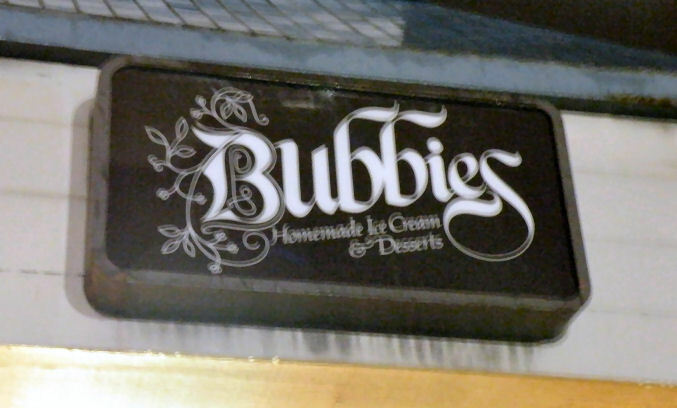 Posted on April 3, 2011, in Oahu's Triple D, Vancouver Eats and tagged bubbies, desserts, hawaii, ice cream, mochi, oahu. Bookmark the permalink. Leave a comment. melvinDo you what time does the store open? yeppersApparently it was very contentious that they won so Turtle Bay didn't continue with the competition. I Read Other Things Online!